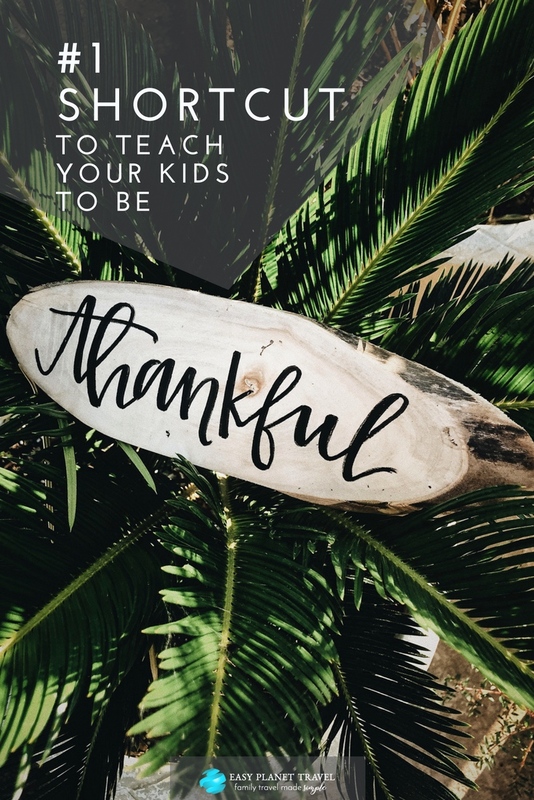 Is your kid grateful for the things he has? 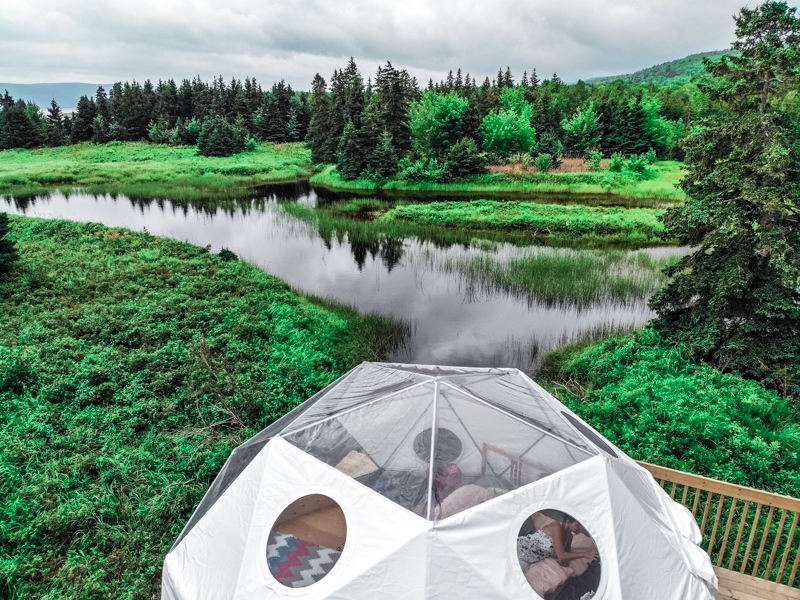 How big is your kid personal horizons? Is your hometown the only place on Earth he knows? Educating our kids to appreciate what they have and to grow up with knowledge of the wide diversity of foreign cultures seem like an overwhelming task. Traveling the world is the best way to reach your global education goals with your kids. But who can travel enough to instill a grateful and international culture into their kids? 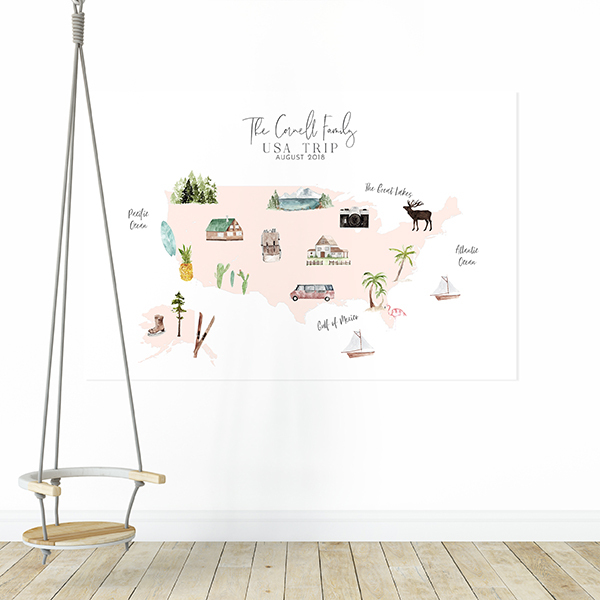 There is no easier and quicker way to heighten your kid’s gratitude and wanderlust than with a personalized family map! And there is no easier and quicker way to pass on your core values and feel proud of your little one and of yourself! Let me tell you about Emma-Kate, my little girl. She is 5 years old now, and she used to complain, saying things were not fair to her when something was bothering her. One day, while traveling the world, we saw a woman with no legs and no arms, lying on her stomach, on a bed, and even though that woman was born severely handicapped, she was happy, smiling, and doing as many things as she could in spite of her situation. She even learned how to write, holding a stick in her mouth. When we saw her, I whispered in Emma-Kate’s ear while shedding tears from my eyes: “You see, Emma-Kate, only that woman is allowed to say things aren’t fair. Not me, not you. Only her. If you were born with legs and arms, things are pretty much fair to you”. It has been years now since that day, and she never complained again that things were not fair. Sometimes I joke around and say things aren’t fair to me, and she quickly reminds me that because I have legs and arms, I should never complain. Emma-Kate has traveled to 15 countries now and counting. Every day, she looks at her personalized world map, points a country and talks about a moving souvenir she remembers from this foreign place. Now she appreciates her own body and what she has. Her personal horizons are wide and open. She longs for her next trip around the world. 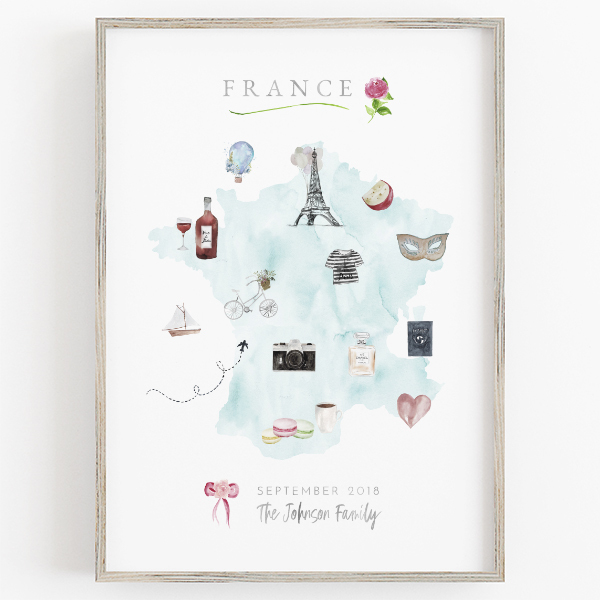 The easiest and quickest way to expand your kid horizons and instill appreciation and gratitude is with a personalized family map: one for your kid or one for the whole family. Visualizing the world, where your family has been, where you live, which fauna and flora we find in specific countries, what people eat everywhere in the world, and much more. Get one for your kid now, before his personality traits get crafted by the narrowness and thankless. 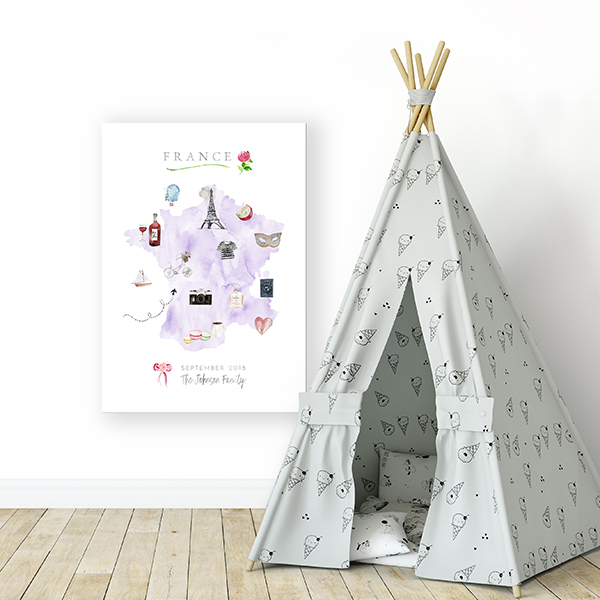 The earlier you start enriching your kid’s daily environment with a personalized world map and soak him in global culture, his gratitude and wanderlust will start heightening. A hanged personalized world map in his playroom or bedroom will bring a constant reminder that he is small in this big, beautiful world, and most people on Earth are happy with less than we have. 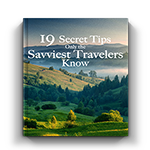 It will also be easier to remind yourselves of the unforgettable family moments you spent discovering exotic places. 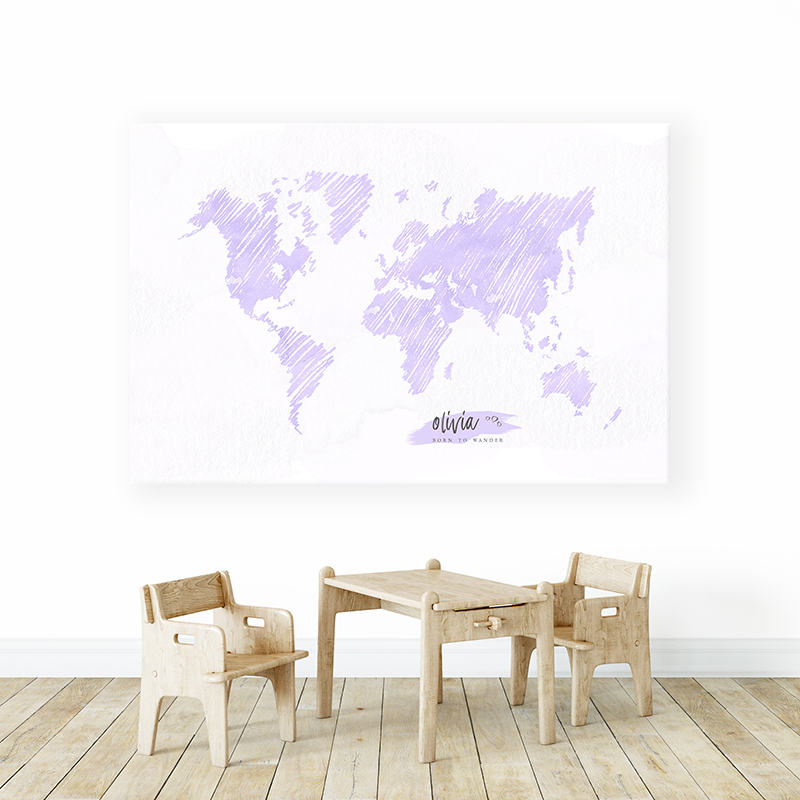 A personalized world map is a very powerful educational tool for every parent. Get your kid’s personalized world map now! Click the link below and choose from the most gorgeous designs and colors. 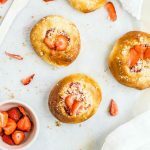 It will only take 1 minute and 55 seconds of your precious time (I’ve timed it!). 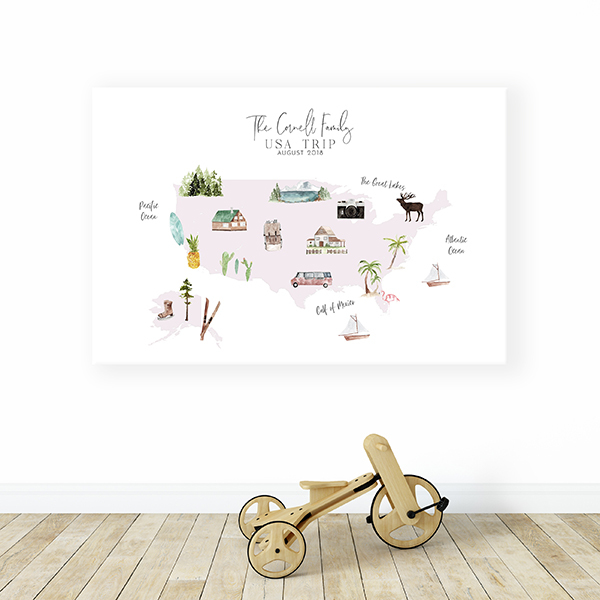 I am very confident that you and your kid will fall in love with your personalized world map!